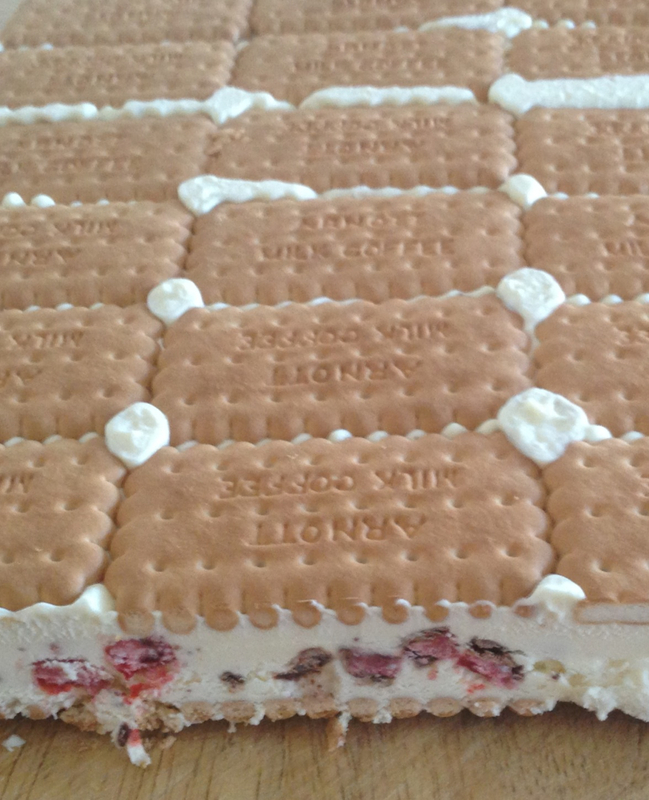 Many a Moore College family between the years 2008 and 2011 will remember Julie Morrow’s Ice-cream slice, often served up at the weekly-free-for-all college playground dinners. Always a hit, several people have mentioned how great the recipe is for hospitality and have replicated it many times long since their time at college has come to an end. And for good reason: it’s really fast to make, tastes terrific and serves at least 21 people for a total cost of $13, though much less if you stock up on biscuits and chocolate bars when on special. 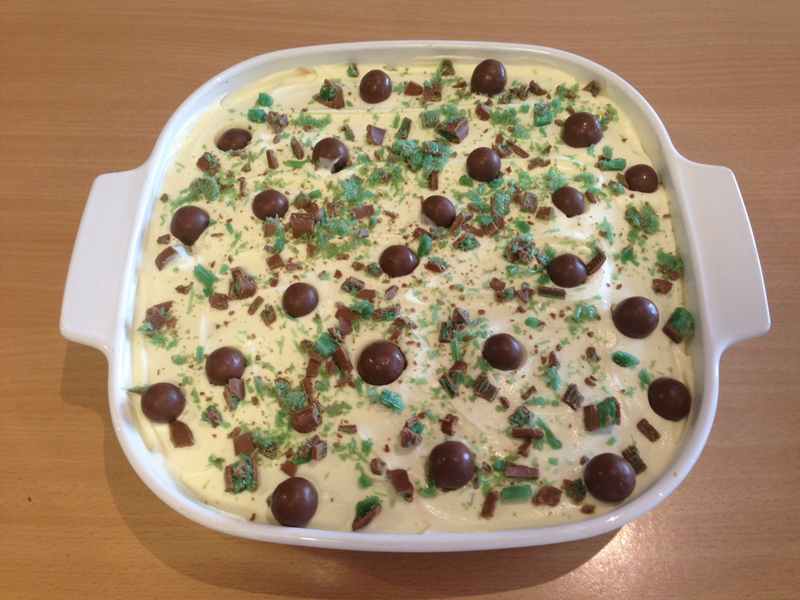 Thanks for a great recipe Julie, and thanks for reminding me to give it a go, Jess! Line a 20x30cm slice tin with foil and put down a layer of biscuits wrong side up. Make sure they fit in the tin nice and snugly. Whip cream until thick, add condensed milk and whip again. Gently stir through chopped chocolate bar and food colouring, if using. 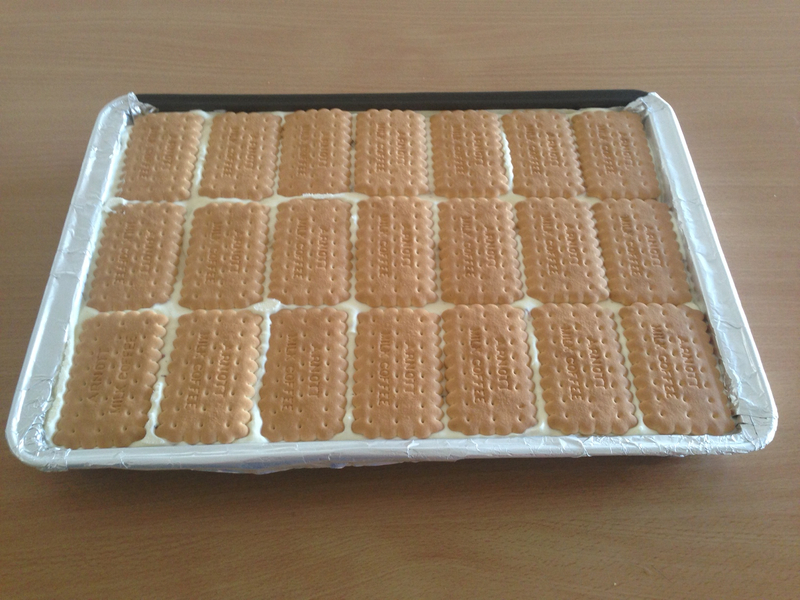 Spread cream mixture evenly over biscuit base and then top with another layer of biscuits, right side up this time. Cover with foil and freeze overnight. When ready to serve, tip slice out using a board to keep it stable when up-ending it. Remove the last layer of foil and cut into biscuit sized portions using a large sharp knife. Eat and enjoy immediately! TIP: If you don’t eat it all when you first serve it, cut slices into individual portions before returning left-overs to the freezer. This will make it easier to access and serve next time round. 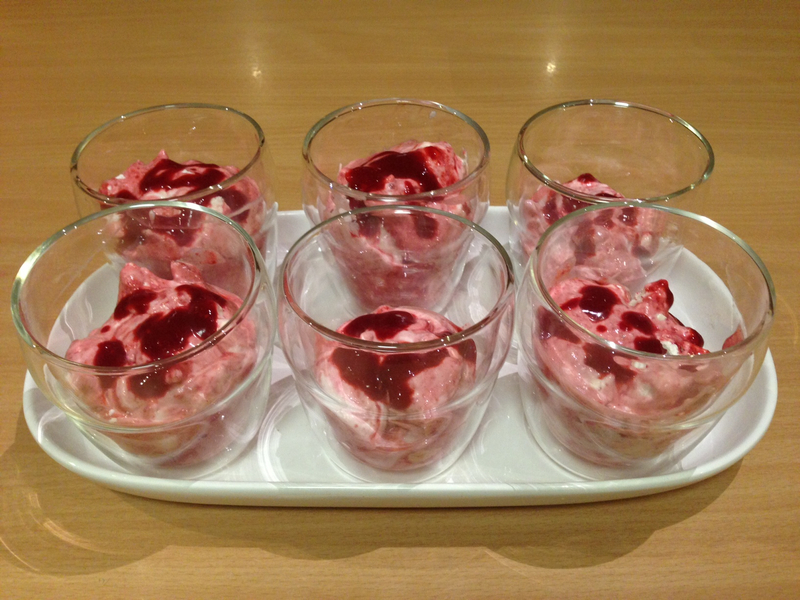 I stumbled upon this sensational recipe on Cath’s blog the other day and was immediately taken with it. So very easy, so very cheap, so very yummy. And seeing as I’m on a bit of a scroll making wave right now, I was keen to give them a go. And although I’m not really meant to be eating sugar at the moment, these have caused me to make some exceptions. 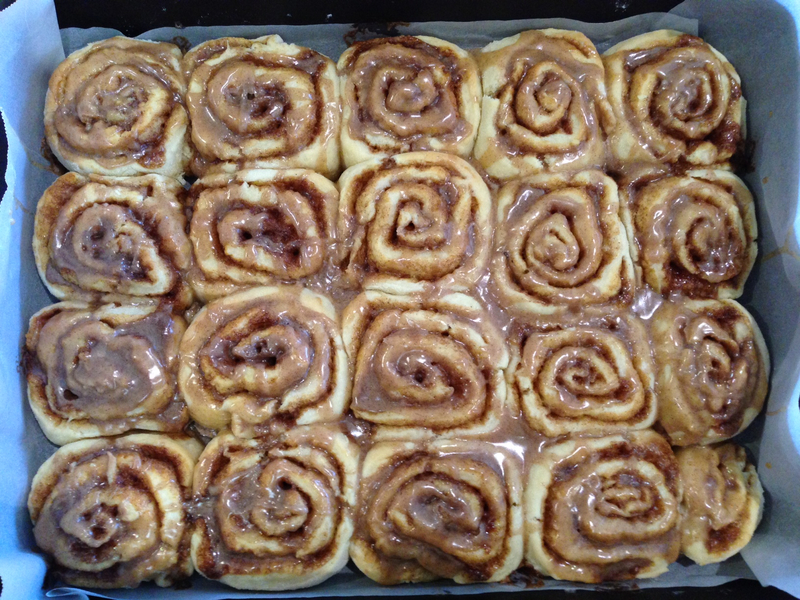 These delicious cinnamon scrolls are not much harder to make than scones and pretty much the same cost as the cream goes in the mixture, and not on top. This recipe makes more than a roasting dish worth of scrolls (I had to use another smaller tin, just for the four that wouldn’t fit in!) so would be a great option for Bible study morning tea, afternoon tea playdates, church morning tea or any time at all really. The smell as they were baking was only topped only by the actual enjoyment of eating them. Approximate cost is $3.50 and makes 24 scrolls. 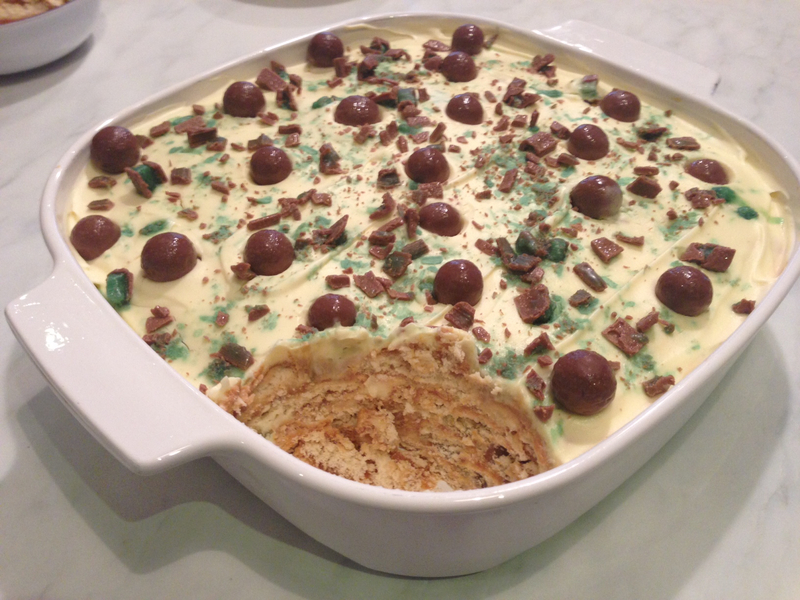 Thanks for your blog Cath, and thanks for sharing this recipe with us. In a bowl, mix self-raising flour with milk and cream. The mixture will be quite sticky still, but turn it out onto a well-floured board or bench, and turn it over a few times to flour it well. Roll it out into an oblong shape so it is quite thin – the thinner the better, but not so thin that it will tear when you move it. In a small bowl, mix together soft butter with brown sugar and cinnamon. Add a hearty dash of vanilla sugar, or vanilla essence. Spread this mixture over the rolled out pastry. Don’t wash the bowl – you will need it later for the icing. Using a spoon or pastry brush, spread this inside mixture all over scroll mixture. Roll it up from the long end until you have a log. Cut the roll into pieces about 1 inch thick, and lay them in a greased or lined oven tray, close together but not packed in. Sprinkle them with vanilla sugar if you have some. Bake them in the oven at 180deg. for 15-20 minutes, or until they are starting to brown nicely. In the bowl where you mixed the sugar and butter, mix 1 cup of icing sugar with enough water to make it go runny. The butter and spice left around the edge of the bowl is sufficient to give it a slight flavour, though you might like to add extra cinnamon. 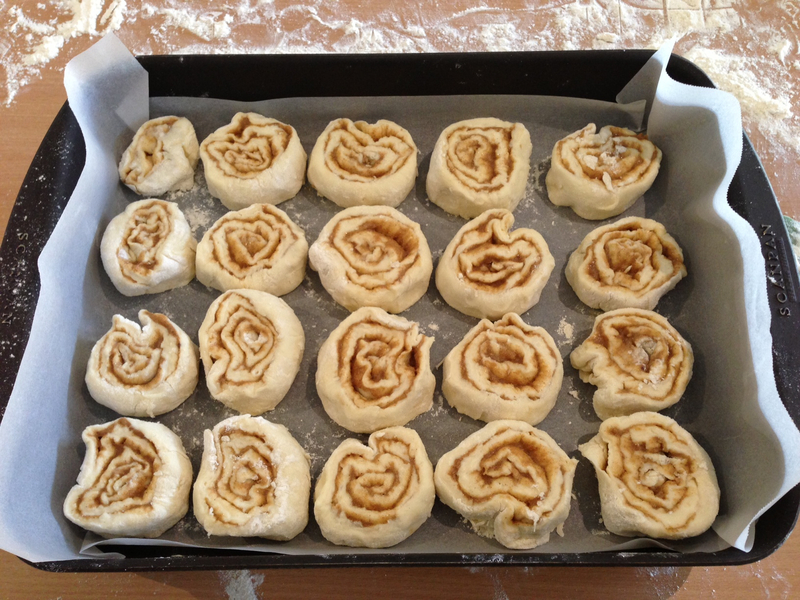 Using a dessert spoon, drizzle this over the scrolls while they are still warm. Enjoy! Best eaten the same day, though a quick zap in the microwave brings them back to freshness should they need it a day or two later (but they won’t last that long, anyway! ).